Before you light that grill, check the cooler. If it's not fully stocked with a variety of cold, refreshing beers, don't even think about cooking those burgers or dogs. And not any old brews will do: for a kickin' BBQ bash, you'll need to make sure that you have a few specific options – all ranging in style -- on hand for your outdoor get together. The following six are the hottest American beers a host can offer his or her guests at a summer 'cue. Summer is the perfect time for witbier (a Belgian-style wheat beer), and Stone somehow makes one that's even more perfect for the season. With tangerine and kaffir lime leaf, their fruit-forward Citrusy Wit is light and refreshing, but incredibly balanced, with plenty of Belgian yeast notes and spicy coriander to go around. Of course, this wouldn't be a Stone beer without bite: alas, Mandarina Bavaria hops from Germany give the beer an extra kick of citrus at the end. Be careful here – though the bottle claims the beverage is 5.3% alcohol by volume, it drinks so much lighter. Slow down! Ever dream of a citrus radler or summer shandy with all of the lemon but none of the cloying sweetness? Look no further than Anchor's Meyer Lemon Lager, a more subtle alternative to the heavier-handed hybrid beers made with too much fruit or soda pop. Easily one of the most refreshing beers to debut this year, it's bright, fragrant, and floral, without any one component asserting itself too prominently on the palate. Best of all, it finishes crisply and cleanly, with a slightly pithy bitterness reminiscent of a – you guessed it – Meyer lemon. No summertime beer list would be complete without an utterly poundable session IPA. 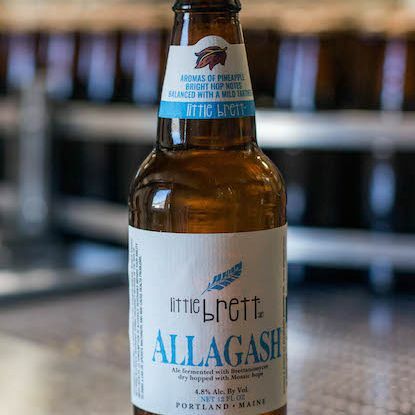 The style may be an American invention, but low-alcohol India pale ales have taken the country by storm. Lagunitas is known for favoring piney, grassy hops, and this session IPA is no exception, but it's far lighter and more effervescent than many of its resinous West coast counterparts. Still, it's packed with flavors reminiscent of grapefruit and pineapple. If there's one thing the state of Texas knows how to brew, it's refreshing beer. Austin's Hops & Grain Brewing has created an old-world lager with a new-world kick of dry hops for a zippy -- yet balanced – brew. Made with pale and Vienna malts, The One They Call Zoe has a golden hue as beautiful as the flavors it boasts, which include notes of toasted bread, blossoming flowers, and citrusy fruit. Here's a beer that's as crisp and thirst-quenching as your favorite macrobrew, but packs way more punch on every level. It's a no-brainer replacement for the watery commercial lagers in your cooler. Bronx's Summer Pale Ale is named so for good reason. Though fairly new, and only seasonally released, it has quickly established itself as one of the most quintessential summer beers ever produced in New York. Brewed with citrusy hops and actual dried lemon peel, it drinks like an elegant, unsweetened radler (which is traditionally beer and sparkling lemonade). Makes sense, too, as brewer Damian Brown spent years living in Germany drinking the real deal stuff. The result is a dry, effervescent twist on a classic style: the perfect choice for those who appreciate lemon and citrus flavors in their beer, but don't want it to taste like sugary soda.